The Chamber partnered with Georgia Tech in 2004 to identify high-growth business clusters that could employ Valdosta State University and Wiregrass Georgia Technical College graduates in Metro Valdosta. The study identified three sectors: information technology, environmental technology and medical services and support. To help grow businesses in these clusters as well as others, the Chamber addressed the pro-business environment and developed the Home Grown Entrepreneurs Program. The Chamber also addressed infrastructure and partnered again with Georgia Tech on the TechSmart initiative to identify goals for technology infrastructure in Metro Valdosta. The next step in 2004 was to identify the key players. The IT Professionals Network, ET Network and MS&S Network were created. The SEEDS Business Resource Center was also created, operating by the high-tech/high-touch philosophy. 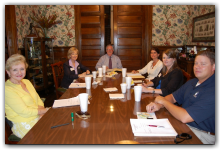 Metro Valdosta was named the first MSA Entrepreneur Friendly Community in 2005 and gained statewide attention. The first Guardian Bank Business Plan Competition was held, requiring contestants to have an idea for a business that would be located in Lowndes County and have the potential to hire technical college or university graduates. By the year 2006 the IT Professionals Network had 20+ active members. 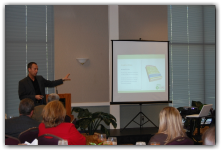 Members come together quarterly to talk about technology issues and successes for IT businesses in Metro Valdosta. Young Professionals found voice, vision and community when MetroOne Young Professionals Network was created with the mission of creating a Metro Valdosta where young professionals can be successful in work, live and play. In 2008, the Chamber adopted a community business action plan, known as IMPACT 2012, funding its initiative to grow jobs in the three high-growth clusters. The Chamber contracted with Creative Cities Consulting and began the Metro In Motion Speaker Series (now Opportunity Central Speaker Series). The Environmental Technology Showcase was held and a survey of local knowledge-based businesses was conducted to monitor these businesses and identify ways to help them grow. An analysis of Metro Valdosta economic trends was completed by Illuminomics to create benchmarks so that progress and growth can be measured. The Valdosta and Lowndes Expansion Team (VALET) reconvened and adjusted its mission to suit current community needs and enhance the pro-business environment. "Tools for Business," more than 800 pages of valuable information for entrepreneurs was added to the SEEDS Business Resource Center Website. 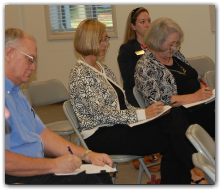 The Inventors and Innovators Network was formed to address the needs of inventors in Metro Valdosta, and the initial due diligence for a business incubator for knowledge-based businesses was conducted.